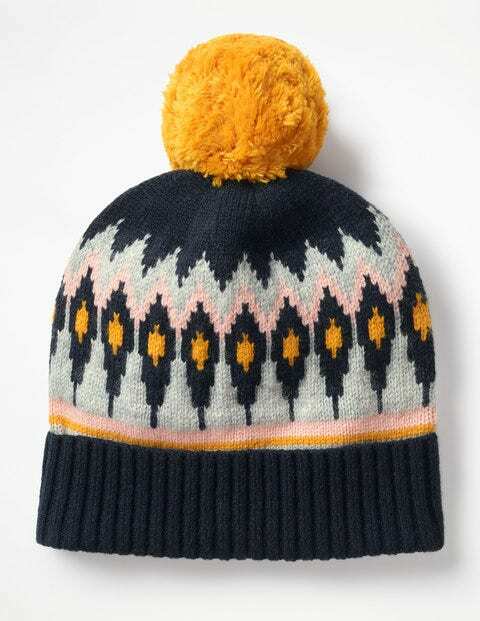 Shake your pompoms for joy – because you've discovered our happiness-inducing hat. It may not have magical powers, but with a fluffy bobble this big, it'll be hard to keep the smile off your face. This wool-blend beanie's Fair Isle pattern is just as fun, with light ribbing at the bottom to keep it in place. Did we mention there's a matching scarf?